Wondering where you can find Permacast in action? In Florida, we cater to Jacksonville, Naples, Orlando, Sarasota, St. Petersburg and Tampa. Find yourself in Texas, and our service area includes Austin, Dallas, Fort Worth, Houston, Midland and San Antonio. 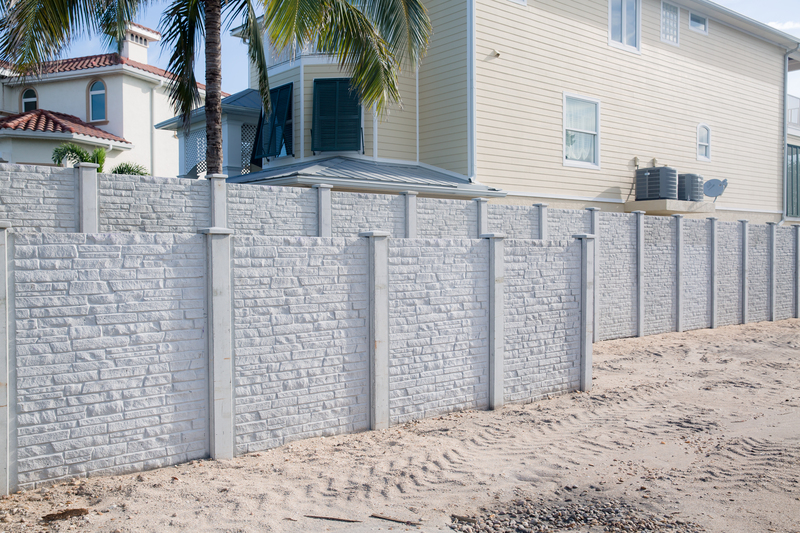 In these cities, you’ll see enduring examples of our walls and fences doing what they do best: securing a site and looking great in the process. We don’t limit ourselves to the cities on this list, though. If you’re in the market for precast concrete and your project is in one of those two states, we’d love to hear from you. We like to point to the fact that our products, given where they live, have definitely stood up to the endurance test. After all, Texas and Florida are two of the hottest, most humid and most hurricane-prone states in the nation. Permacast walls and fences thrive in these environments, truly living up to the promise of durability. In both states, our products secure housing communities, public facilities, corporate parks, ranches, highways and more. Our clients include HOAs, developers, architects and engineers. Each project is unique, but the outcome is always the same: an efficiently installed wall of uncompromising strength and beauty.